With its temperate Mediterranean climate, many parts of the San Francisco Bay Area are good growing locations for orange trees and other citrus. Although you might need to protect your tree from winter frost, oranges are generally hardy in U.S. Department of Agriculture climate zones 8 and higher. The Bay Area is known for its summer fog, which can contribute to powdery mildew on orange trees, so choose a resistant variety. Formerly called the Bahia orange because of its discovery in Bahia, Brazil in the early 1800s, the Washington naval orange is commonly grown in Bay Area gardens. It’s a large, mostly seedless orange with a thick skin that makes it easy to peel. The Washington naval prefers a slightly cool climate, which characterizes most weather in the Bay Area, especially with the nighttime and early morning summer fog. Washington naval oranges ripen just in time for including them in Christmas stockings as a healthy snack. Valencias are the best oranges for juice. 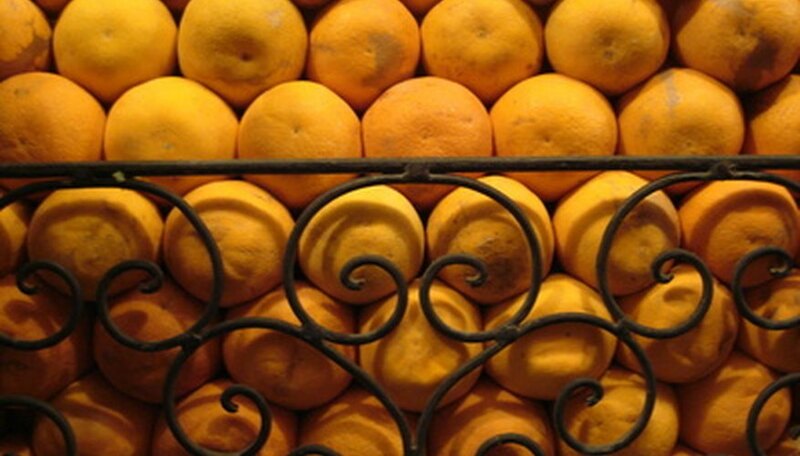 Although the fruits have seeds, this orange is favored for its sweet flavor. It prefers a warmer climate, so inland areas of the Bay Area are the most conducive environments for growing a Valencia. This orange produces fruit that is smaller than the Washington naval orange, but its superior juice makes this thin-skinned orange a popular choice. The Bay Area often has clay soil, which is not the best for citrus trees. If you decide to plant a Valencia or other orange tree, add plenty of organic matter to your soil or consider growing your tree in a large container to give it good drainage. The Valencia ripens from late spring through fall in the Bay Area, making it a good long-season fruit. You will find blood oranges growing in the Mediterranean region, which gives a good clue that they are compatible with the Bay Area’s climate. The blood orange’s flesh is a crimson color, making it unusual and very tasty. The pigments that cause the red color need cold weather in order to develop, according to Texas A&M University, making this orange a good selection for growing in low elevations in the Bay Area. Depending on your exact location, you may or may not achieve the red coloration. Several varieties of the blood orange exist: Egyptian, Maltese, St. Michael and Ruby are sometimes found at Bay Area nurseries as bare root plants.